Spice is one of my favorite playgrounds for a long time. Even though it doesn't have lots of features (yet) it's already quite stable and while things like clipboard sharing and window re-sizing are not new, they are new to me. Recently iv'e started to try out those features, especially clipboard sharing is something which i really wanted to have. Secondly, it's really important that you enable the consolekit useflag for your window manager (except windows clients). In order that other programs can use it too i enabled it system-wide in make.conf. Furthermore you have to install the spice vdagent. There is a package in gentoo (app-emulation/spice-vdagent) which does the job. Usually you don't have to change anything in the config of the agent as long as you don't change anything at the start command. However, depending on your Window Manager it can happen that the spice vdagent doesn't work. So far i found out that it doesn't work with awesome. 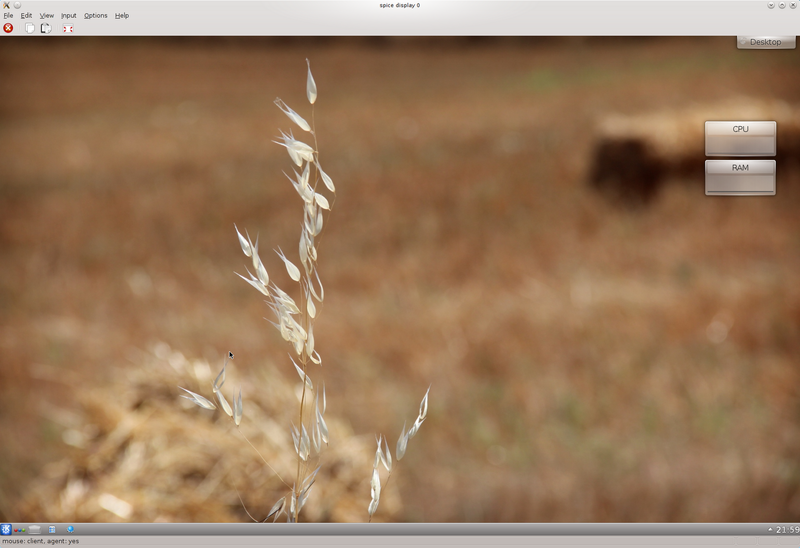 Xfce, lxde, gnome, kde, razorqt and even windows 7 (with the corresponding driver) are working flawless. I think the reasons is consolekit. The window manager has to be build with consolekit support, otherwise the agent would be useless.